People often find it annoying when they don’t get to continue from the last session on their browser especially when there was something important going on and they abruptly had to shut down their laptop or PC. Of course, you can easily open all the tabs by going into browser history. But wouldn’t it be more helpful when you effortlessly get back your previous browsing session the moment you launch your browser. As it turns out, it’s pretty simple to do that on Google Chrome. But guess what? It’s even simpler when you do that on Safari browser on your Mac. It’s just that most people don’t know how to change their browser settings to enable this feature. So if you are also one of those people, then this blog might help you out. Open Safari from the menu bar. In a pop-up window that appears, click General. Under the Safari opens with tab, select All windows from last session. That’s it! Now every time you re-open the Safari browser, you can resume the last session. Also read A New Web Browser For iOS Supported Devices. Nothing can be more disturbing than a browser that keeps on crashing while you’re trying to do something important. You might have encountered such issues quite often. While many times, updating the browser can fix these issues, it just won’t work. And you may have to try some other ways to fix this. So these are some things that you might wanna check to fix the crashing problems in Safari. Clear history & website data. If you are experiencing speed issues on Safari, it might be because you have opened so many tabs on the browser at the same time. So try closing the unnecessary tabs and see if that makes any difference. You can always bookmark the sites that you don’t necessarily need to access right now but you’d like to visit them later. Don’t want to bookmark the site either? Not an issue! Just add it to your reading list so that you can access it later when you’re offline and close the tab for now. Just by closing the unnecessary tabs, you’ll see your browser gets way lighter and it becomes easier to navigate through different menus and options. You may also like How To Manage Payment Methods On iOS. 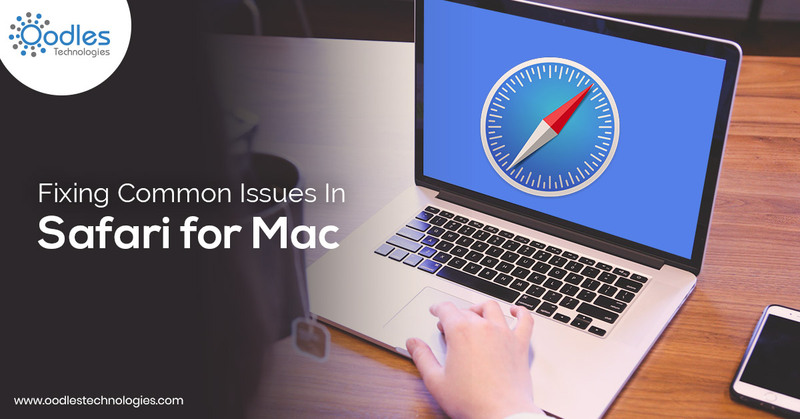 Generally, when you clear your browser cache or the browsing data, it also fixes the freezing problems and performance issues as well. However, if you have tried all the aforementioned steps but you are still experiencing freezing issues on your browser, it’s time you should try something different. In most cases, disabling the DNS Prefetching might fix the problem. DNS Prefetching is a feature in Safari that makes browsing faster by querying your DNS server, thereby resolving each link to its IP address. Although this feature has been devised to make your browsing faster, it can sometimes do the opposite. So if nothing else works, you can try disabling this feature in Safari and it might help to restore your browsing speed.